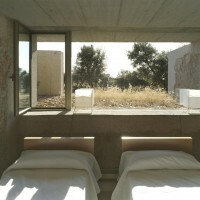 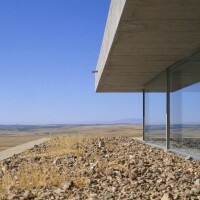 Jesus Aparicio Architecture designed the House of the Horizon in Salamanca, Spain. 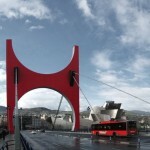 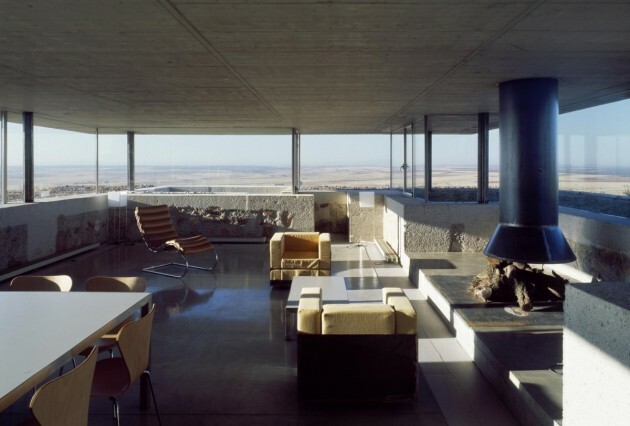 A calm place was chosen, with enough distance to the city so that the house was like that of a village: the necessary distance for solitude with respect to the cities of Salamanca and Madrid. 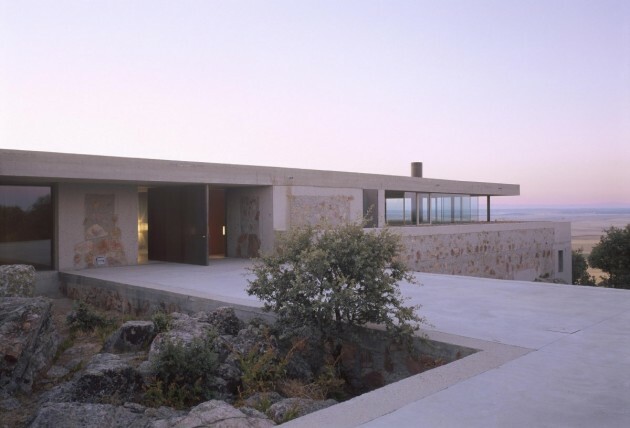 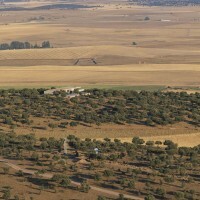 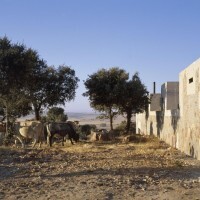 The place where the house is based is the highest part of a hill, smooth on its North slope and that descends to the South slope, with greater unevenness, towards the Castilian plateau; in a flat and infinite landscape. 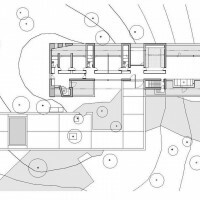 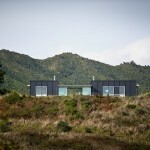 The project tries to highlight these spaces found on the site to make them suitable for living in a house that watches expectantly in the distant horizon. 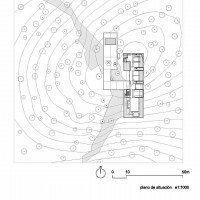 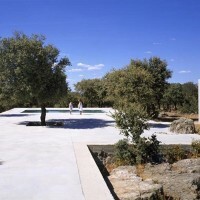 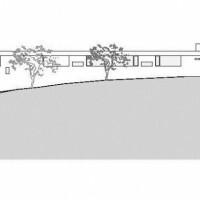 The house has two scales: one that is small and fragmented on its north, east and west sides, where the oak forest surrounds it, and the other large from the south, open to the infinite horizon of the plateau. 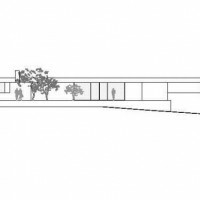 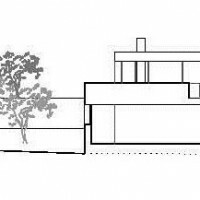 A platform establishes a second scale and is the threshold of the house, analogous to what it is with respect to the landscape. 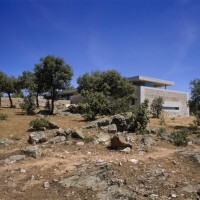 The platform is ambivalent in it the natural and the artificial are superimposed: the trees, the water and the rocks can be seen with the concrete podium, revealing another one of the characteristics of this house and which is that in it, the union of the nature and the abstract artifice of architecture. 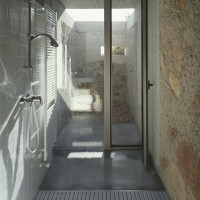 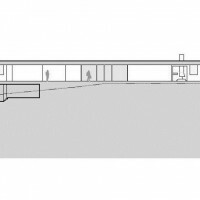 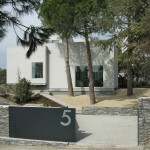 The house has a double construction: a perrenial part constructed to last -firm- in an original construction to with the installation and the structure belong (where the material is the concrete and the stone, to which the steel comes to help, punctualy where it is necessay) and another part, more ephemeral and technical (where the materials are glass, tiles, steel and wood) built to move with the times -useful- that responds to the specific function and to the facilities. 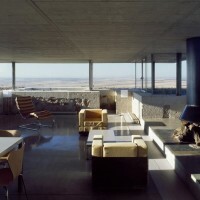 In the house, a relationship between the limit and continuity of the space and the edge and the discontinuity of it is established. 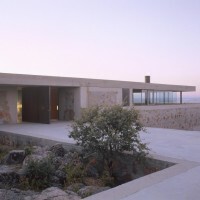 The house, still being a place on which controlled fragments of nature are framed, above all it is the place where the presence of the horizon begins: the house of the horizon.